4x6 6x4 5x7 7x5 3-1/2" x 2-1/2" 1-3/8" x 1-3/4" 2" x 1-1/2"
Choose from authentic looking clapboards used in Hollywood movie-making! Hollywood theme parties, events, booster clubs and give-a-ways. 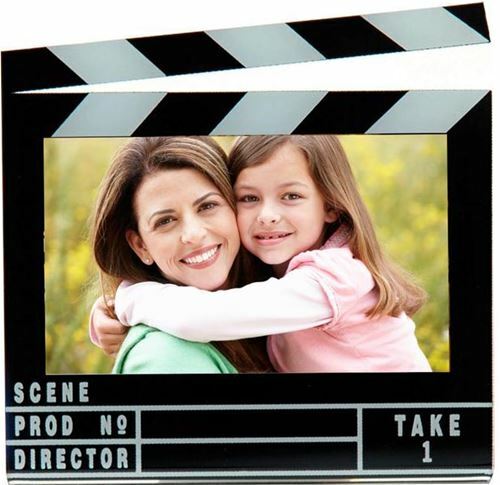 Clapboard Photo Frames make a great memento at Hollywood movie parties and events. • Photos slide easily into our plastic easel photo frames. • Clapboard Keychains in two large photo sizes. 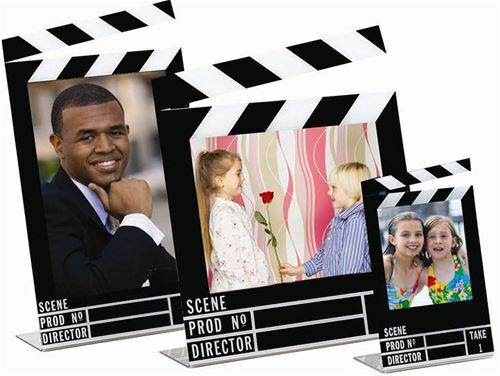 • Easy to slip-in photo frame with Hollywood Clapboard motif. • Holds a 2 1/2''x3 1/2'' photo. 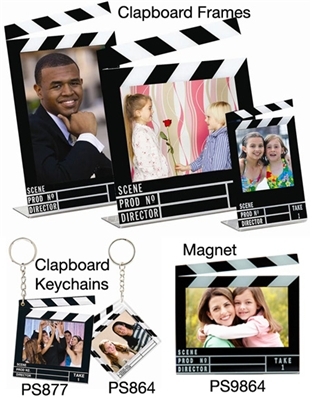 Clapboard Photo Frames Magnets and Keychains. A selection of Clapboard Frames, Magnets and key chains. Many sizes to choose from, some with magnets on back. Hollywood theme parties, events and give-a-ways.